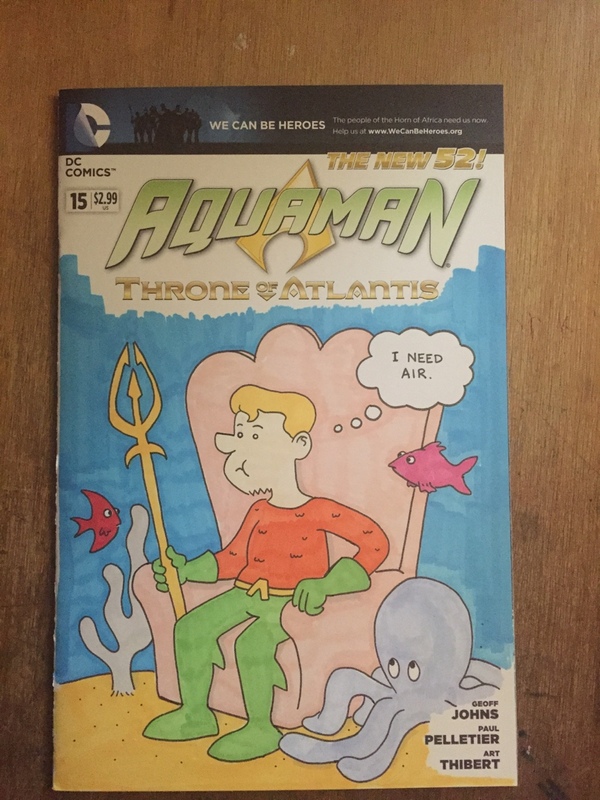 Sketch Cover Sale! Help my classroom out and get some artwork! It’s that time again, readers… time for me to hawk my good to y’all. 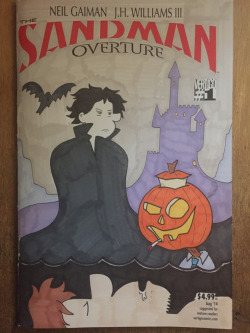 I love drawing on sketch covers and now you can love owning one of the sketch covers I loved all over with my pencils, pens, and markers! That sounds like a good sales pitch, right??? Anyway, I’m trying to scrape some money together for the Gem City Comic Con at the end of the month. My students and I are paneling at the show on Saturday and I’d like to have a little extra scratch for gas and other amenities. Last year I gave the kids a couple of bucks and let them go crazy at the long boxes, and that was super awesome. 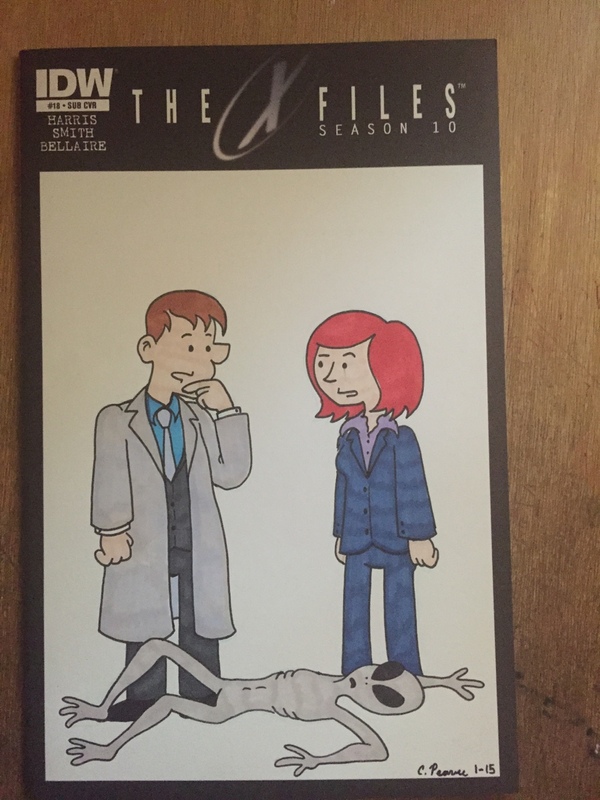 …so here’s the deal, y’all – you can purchase any one of these predrawn sketch covers are $20 dollars apiece. 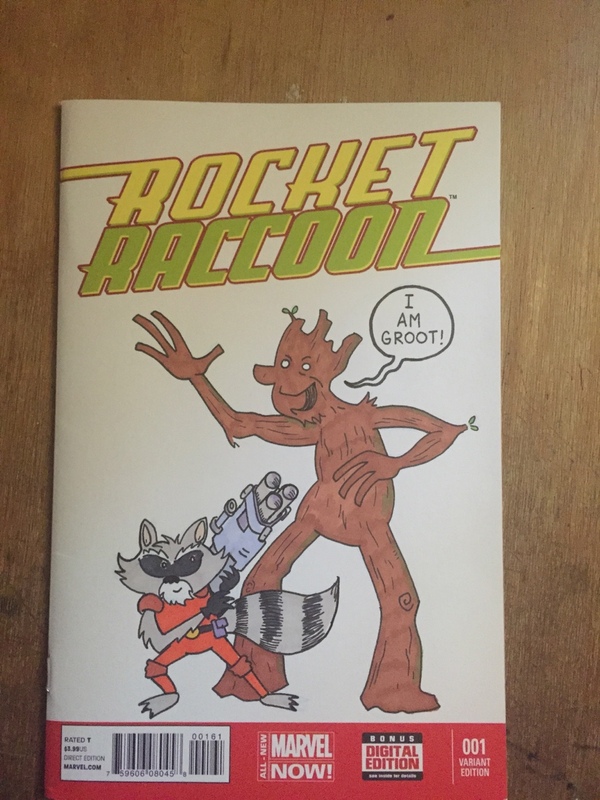 That covers the actual cost of the comic (usually around $3-$5 dollars), my drawing fee (probably around $10 bucks, we’re not talking crazy rates here) and shipping to you. I have a PayPal account and if you drop me a comment here with the book you’re interested in, we can work out the details. SPECIAL SUPER ADDED BONUS TIME!!! 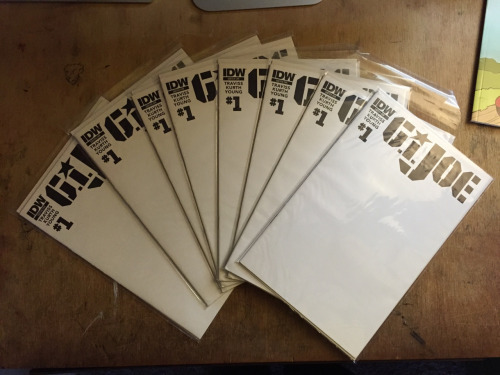 Around Christmas, I acquired a sizable stack of blank sketch covers for IDW’s GI Joe #1. 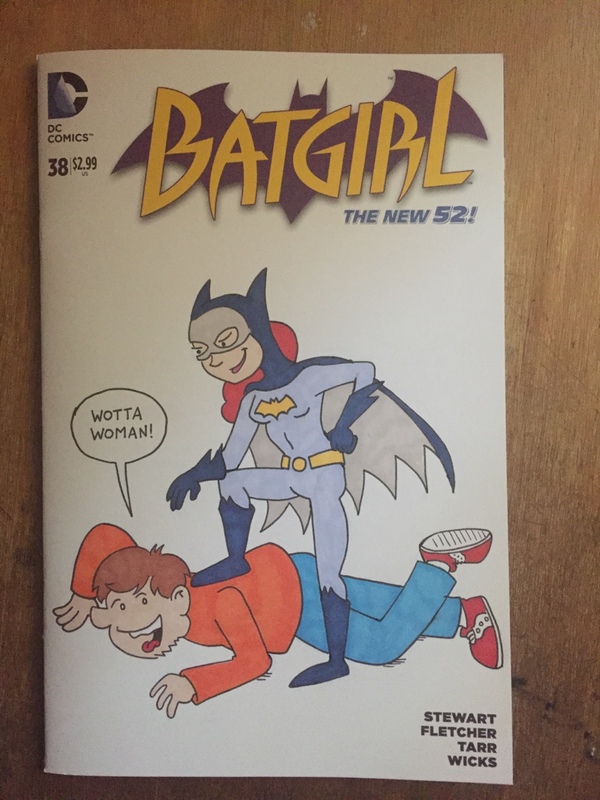 Same deal as above, $20 dollars and I’ll draw you something on there are send it your way… only you get to choose what I draw for you. Please keep in mind, it’ll be in the style in which I draw the journal comic, so plan your choices accordingly. I’ll draw your favorite COBRA guy… or hell, I’ll draw whatever you like on there. Want a GI Joe comic with my version of Serpentor? Great! Want a cover where I draw something about Romeo & Juliet? I can do that! 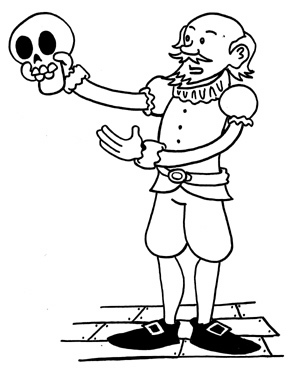 Here’s a little doodle I did in preparation for second semester’s Shakespeare work in my classroom. 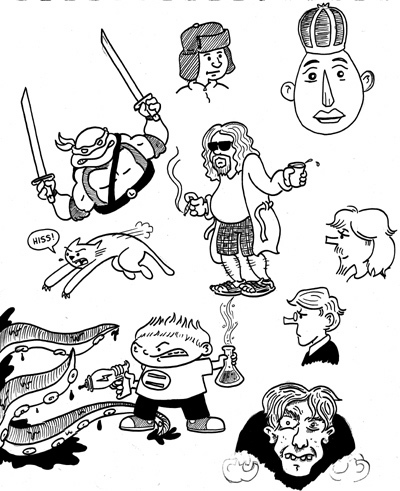 I liked it enough to ink it and scan it… but not enough to color it. If you’d like to color this, you’re more than welcome. 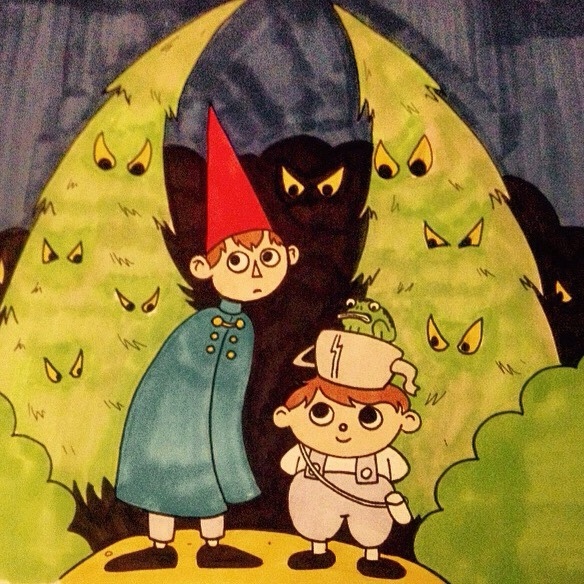 On the other hand, here’s a doodle I did of the characters from the Cartoon Network mini-series Over the Garden Wall. I liked this one enough to get out the Prismacolor markers… but marker colored pieces always look weird when I scan ’em. OTGW was fantastic, by the way. 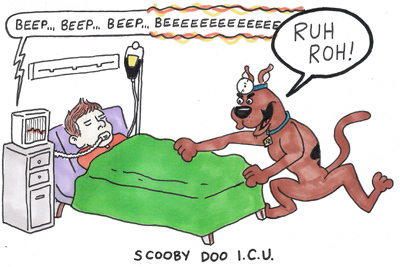 It’s dumb, and I can’t believe this joke hasn’t been made somewhere before… but since my kids are all about Scooby Doo, the character’s been on my mind lately. Doonesbury: I’ve been looking at a lot of the older Holt, Rinehart, and Winston collections of Garry Trudeau’s comic strip. Not much can beat Doonesbury in terms of newspaper comic strips during its’ run in the late ’70’s/early ’80’s. Eggbert the Talking Christmas Egg: The New York Times can explain this oddity of my Hudson Valley childhood quite a bit better than I ever could. In drawing these comics about my teaching of Romeo and Juliet this year, I noticed I’ve been using the same designs of some of the characters. I didn’t set out to design these characters and I think it shows in those comics from earlier in the week. I decided to try and refine a bit more. 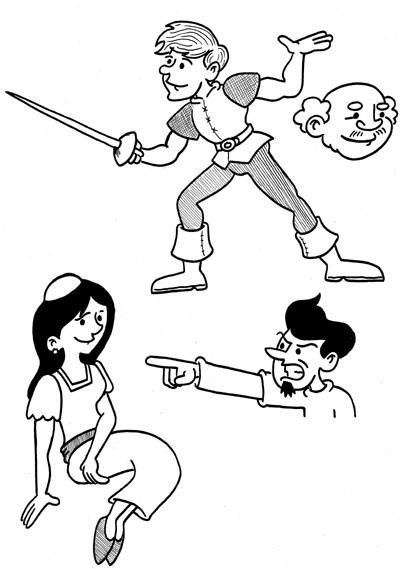 Here you can see some quick sketches of (clockwise from top) Romeo, Lord Capulet, Tybalt and Juliet. Romeo had kind of a Disney prince character thing going on, which is kind of interesting I guess. No comic today but here are a couple of things I’ve been sitting on for a few months. 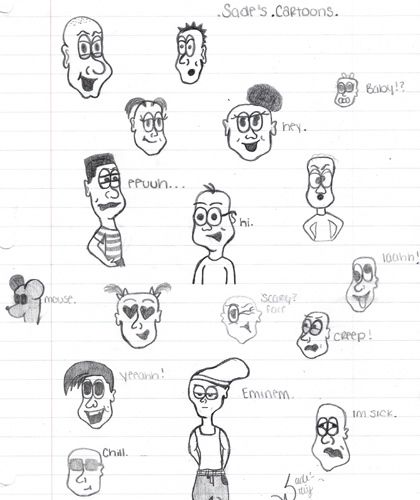 A sketch page I stole from Sade, one of my students this year. I thought it was so good I couldn’t resist. It reminds me of the kind of thing I do in my sketchbook from time to time. Look at this, she’s so good!